Your kitchen is one of the most frequented rooms in your house. It should be functional as well as pleasing to the eye. 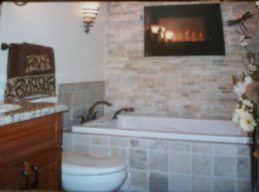 A beautiful bathroom is only one call away. 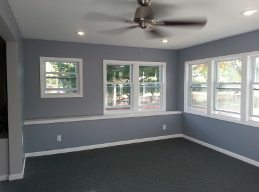 Stewart’s Remodeling can take your existing room and turn it into a haven of peace and comfort. Are you ready to finish your basement? 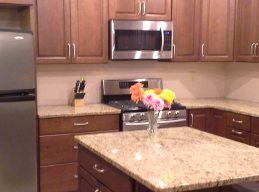 Stewart’s Remodeling can help get you on your way to enjoying all your house has to offer. Enjoy your backyard without the discomfort of the summer sun or pesky bugs. Experience the best of home remodeling with a company you can trust to get the job done right. Licensed, insured and bonded, Stewart’s Remodeling has over 30 years of industry experience. Our family owned and operated company understands our clients need a home tailored to work with their family and lifestyle. During our consultation meeting, we take plenty of time to learn our client’s requirements. Our goal is to create spaces that are functional and pleasing for you to live in. Fill in the form below and we will get back to you ASAP. You can also call us now at 815.942.8046 .